Here is Murray Rothbard on Roger Williams. And here he is on Anne Hutchinson. As a deeply believing Mormon, he actually, sincerely (yes, sincerely) believes that his moral values are equivalent to those of evangelicals. Conservative Catholics and evangelicals differ on theology but share virtually every important value. The Founders differed on theology but rarely on values. It is hard to identify any area of life in which Mitt Romney's values and life differ in any way from the finest evangelical's values and life. And with regard to electing a president, that is what matters." Via the internet, I've heard some of the stations Prager refers to, say WORL in Florida, which explicitly self-identifies as "Christian" in its station breaks. They carry the conservative Jewish commentator Michael Medved as well. They don't mind. In 2012 the evangelical right has embraced the American Founding's vision of religious pluralism---park the soteriology [the business of salvation] at the door and concern ourselves politically only with the concerns of this world. This detente has been vitiated by the rise of secular-progressivism and/or libertarianism-libertinism, both of which largely reject any notion of natural law, that there exist objective and universal standards of morality that a society should govern itself by. The "Judeo-Christian" thing. Theologically, Christianity's relationship with Judaism has finally warmed in the past century, that the Jews have a legitimate place in God's plan, and it's certainly indisputable that their Bible is biblical. However, there will be no such dispensation for the unbiblical Book of Mormon [or the Quran, for that matter]. When it comes to man's religions, one size does not fit all. A Rev. Frank Pastore [ex-Cincinnati Reds pitcher, now a scholar and evangelical pastor and talk show host] can support Romney socio-politically ["We're not electing a pastor, we're electing a president"], but has reservations that such a tolerance-acceptance is a theological endorsement of Mormonism as a legitimate variant of Christianity. Many Christian sects remain kissin' cousins, and accept each others' legitimacy as authentic Christianity. But Mormonism with its additional book of revelation [like Islam]? No can do. Never. But that's theology. All that stuff will be settled on Judgment Day and not one day before. Back here on earth, for years now, the leftish chattering class has been predicting an evangelical rejection of Mitt Romney's candidacy---and thus a splitting or neutering of the Religious Right if and when he's nominated. But the Religious Right are neither the blithering idiots nor the implacable theological ideologues that would reject a Romney for an Obama, whose own Christianity hasn't much in common with theirs when it comes to this here planet. When the Congress first met, Mr. Cushing made a Motion, that it should be opened with Prayer. It was opposed by Mr. Jay of N. York and Mr. Rutledge of South Carolina, because we were so divided in religious Sentiments, some Episcopalians, some Quakers, some Aanabaptists, some Presbyterians and some Congregationalists, so that We could not join in the same Act of Worship. Mr. S. Adams arose and said he was no Bigot, and could hear a Prayer from a Gentleman of Piety and Virtue, who was at the same Time a Friend to his Country. He was a Stranger in Phyladelphia, but had heard that Mr. Duche (Dushay they pronounce it) deserved that Character, and therefore he moved that Mr. Duche, an episcopal [Anglican, i.e., Church of England---TVD] Clergyman, might be desired, to read Prayers to the Congress, tomorrow Morning. The Motion was seconded and passed in the Affirmative. That the Religious Right fancy themselves the successors of the American Founding is well-known. Few of them would find the above story surprising or anything less than wise: in the 21st century, the most Protestant issue joint politico-moral declarations with the most Papish! The Founders would smile if not laugh in satisfaction, and it's very disappointing to those who oppose the Religious Right, I suppose, that they refuse to commit political suicide over theology. But it's an American tradition that dates back to at least 1774 and the launch of the American Revolution, and that's very good thing. Otherwise, you know, you'd be reading this in English. His object was the reformation of some articles in the religion of the Jews, as taught by Moses. That sect had presented for the object of their worship, a being of terrific character, cruel, vindictive, capricious, and unjust. Jesus, taking for his type the best qualities of the human head and heart, wisdom, justice, goodness and adding to them power, ascribed all of these, but in infinite perfection, to the Supreme Being, and formed him really worthy of their adoration. Moses ad either not believed in a a future state of existence, or had not thought it essentially to be explicitly taught to his people. Jesus inculcated that doctrine with emphasis and precision. Moses had bound the Jews to many idle ceremonies, mummeries, and observances of no effect toward producing the social utilities which constitute the essence of virtue; Jesus exposed their futility and insignificance. The one instilled into his people the most anti-social spirit toward other nations; the other preached philanthropy and universal charity and benevolence. The office of reformer of the superstitions of a nation, is ever dangerous. Jesus had to walk on the perilous confines of reason and religion; and a step to right or left might place him within the grasp of the priests of the superstition, a blood-thirsty race, as cruel and remorseless as the being whom they represented as the family God of Abraham, of Isaac and of Jacob, and the local God of Israel. They were constantly laying snares, too, to entangle him in the web of the law. He was justifiable, therefore, in avoiding these by evasions, by sophisms, by misconstructions and misapplication of scraps of the prophets, and in defending himself with these their own weapons, as sufficient, ad homines, at least. That Jesus did not mean to impose himself on mankind as the son of God, physically speaking, I have been convinced by the writings of men more learned than myself in that lore. But that he might conscientiously believe himself inspired from above, is very possible. The whole religion of the Jew, inculcated on him from his infancy, was founded in the belief of divine inspiration. The fumes of the most disorded [sic] imaginations were recorded in their religious code, as special communications from the Deity; and as it could not but happen that in the course of ages, events would now and then turn up to which some of these vague rhapsodies might be accommodated by the aid of allegories, figures types, and other tricks upon words, they have not only persevered their credit with the Jews of all subsequent times, but are the foundation of much of the religions of those who have schismatized from them. Elevated by the enthusiasm of a warm and pure heart, conscious of the high strains of an eloquence which had not been taught him, he might readily mistake the coruscations of his own fine genius for inspirations of an higher order. This belief carried, therefore, no more personal imputation, than the belief of Socrates, that himself was under the care and admonitions of a guardian Daemon. - Thomas Jefferson, Letter to William Short, Aug. 4, 1820, reprinted in In God We Trust: The Religious Beliefs and Ideas of the American Founding Fathers, edited by Norman Cousins (Harper & Brothers: 1958), pgs. 153-154. If by religion we are to understand sectarian dogmas, in which no two of them agree, then your exclamation on that hypothesis is just, "that this would be the best of all possible worlds, if there were no religion in it." But if the moral precepts, innate in man, and made a part of his physical constitution, as necessary for a social being, if the sublime doctrines of philanthropism and deism taught us by Jesus of Nazareth, in which all agree, constitute a true religion, then, without it, this would be, as you again say, "something not fit to be named, even indeed, a hell." - Thomas Jefferson, Letter to John Adams, dated May 5, 1817, reprinted in In God We Trust: The Religious Beliefs and Ideas of the American Founding Fathers, edited by Norman Cousins (Harper & Bros.: 1958), pg. 283. Matthew Spalding discusses the anti-foundational approach of progressive ideology to the federal Constitution in this article posted over at First Principles: A New Republic: The Progressive Assault on the Founders' Principles. Spalding provides a good overview of the difference between the progressive mindset and the mindset of the Founding generation. And he does a good job of showing that Abraham Lincoln, far from being a herald of the new progressive era (as many liberal and some libertarian writers contend), harkened back to the Founders' vision of the Constitution bounded by the moral order of natural law and civic virtue enshrined in the Declaration of Independence. That's the topic explored in this fascinating post over at The Imaginative Conservative. Did you know that the Federalist Papers weren't the only defense of our Constitution at the time of its proposal? American founding father John Dickinson wrote a set of articles, under the pen name Fabius, in defense of the proposed Constitution. How powerful was Dickinson's argument in favor of the Constitution? Powerful enough to earn the praise of the Father of Our Country, George Washington. Read the entire post by George S. Ahern to learn more. And I now have another book to add to my queue at the local public library! "What suspicions of interpolation, and indeed of fabrication, might not be confuted if we had the originals! In an age or in ages when fraud, forgery, and perjury were considered as lawful means of propagating the truth by philosophers, legislators and theologians, what may not be suspected?" - Marginal note written by John Adams in John Disney's Memoirs (1785), quoted in The Founders on Religion, A Book of Quotations, edited by James H. Hutson (Princeton University Press: 2005), pg. 26. The late Mel Bradford (d. 1994) was one of the leading paleo-conservative scholars of the South, teaching at the University of Dallas until his unexpected death due to complications from surgery. Bradford's scholarly work was primarily in the field of Southern literature (his writings on Faulkner received particular attention), although he branched out from literary studies to tackle historical writing as well, particularly historical writing relating to the American Founding and the Civil War. In 1981 Bradford was in the running to be Ronald Reagan's appointee to lead the National Endowment for the Humanities, but due to controversy regarding his views toward Abraham Lincoln, Bradford was passed over and the NEH post went to William Bennett. Bradford was a friend to several notable paleo-conservative writers, most notably Russell Kirk (who also died in 1994) and the historian and Calhoun scholar Clyde Wilson. Towards what would be the end of his life, Bradford also was closely associated with historian Forrest McDonald. And it was MacDonald who had the strongest influence on what would be Bradford's last book, Original Intentions: On the Making and Ratification of the United States Constitution, sadly now out of print but available in libraries and in the used book marketplace. Original Intentions is an amazing book, made all the more amazing in that it was written not by a professional historian but by a professional literary scholar. Yet it is precisely Bradford's mastery of the craft of literary analysis that lends insight to his work. It is beyond the scope of this blog-post to offer a complete review of the book, but it is worth noting that Bradford's literary background gave him a deep appreciation that the Founders had not one single set of motivations or intentions but multiple ones when they came together to draft a new charter for the young American Republic. Far from seeking an original intent (in the singular), Bradford sought to introduce his readers to the complexity of the views of the Founders, looking not only at their intellectual influences but on their political, economic and social contexts when examining the forces and ideas that shaped the Founders' work. This is not simplified history or partisan history, but a serious, conservative approach to examining the perspectives, views and concerns of the men who drafted and ratified the main text of our nation's current Constitution. And it bears in critical ways the marks of Forrest McDonald's influence on Bradford's later examination of American history. Nowhere is this more evident than in Bradford's examination of the religious views of the Founders who participated in the Philadelphia Convention, found in chapter 7 of Original Intentions. Bradford begins his discussion by noting that much of modern Establishment Clause jurisprudence regarding the First Amendment distorts the original purposes behind our Constitution's protections for religious freedom. The justices of the Supreme Court, Bradford writes, "lost their way" and have been unable to find anew a path to understanding and applying the First Amendment in light of its proper historical and cultural context at the time of its ratification. Bradford does a very thorough job of identifying the intellectual temptations that can thwart a truly originalist view of the First Amendment's provisions regarding religion. From the great-man theory of the Constitution, to a selective and ideological reading of the text, to an anachronistic reading of the text in light of modern intellectual concerns, Bradford sees a host of difficulties the navigation of which necessitate a properly contextualized view of the background of the First Amendment. To provide such a contextualized view, Bradford provides what he calls "a collective portrait" that draws upon evidence usually overlooked when discussing religion and the Constitution. Bradford gives great weight to the confessional affiliation of most of the Framers of the First Amendment, the ardent Christian faith of many of the Founding generation -- including those who insisted on a Bill of Rights to supplement the original text of the Constitution. The faith of men often overlooked, like John Jay and James Mason, are important to Bradford as an example of the overall nature of religious views by those men of prominence who are often ignored or relegated to the fringes of historical examination. The conviction in divine Providence was strong not only among those who, thanks to a later following, figure large in our contemporary imaginations regarding the Founding Era. Of particular interest in Bradford's study is his detailed overview of the significance of swearing oaths. The swearing of an oath, and the constitutional requirement that office-holders swear them, was seen as an acknowledgement of the government's subordination to divine authority. Both Oliver Wolcott of Connecticut and James Iredell of North Carolina (a future Supreme Court justice) argued for this understanding of swearing an oath, with Wolcott going so far as to argue that requiring a religious test for holding office was redundant because the requirement for office-holders to swear an oath was itself a sufficient test in that regard. To require an additional test of faith was, as Bradford puts it, "a pious redundancy." In 1789 a religious establishment was, in Anglo-American parlance, sensu stricto, an institution able (with the assistance of government) to promulgate a creed or dogma, to require official assent to that doctrine, to collect rates or some other tax in support of that religion, and to require, at least from time to time, attendance at worship. According to the limits of the definition, all religious activity not comprehended under this list of characteristics but encouraged or supported by the state or conducted under its auspices signified nothing concerning an establishment. Neither would the fact that a particular activity not sectarian in purpose happened to benefit one denomination more than another. Far from seeking to curtail religion, the push towards limitation of religious establishment at the national level sought to promote both tolerance and piety, seeking to avoid "the repetition of sectarian animosity among Christians living on these shores," an animosity that "would ultimately undermine the status of religion among us." Bradford details quite effectively that the purpose behind the First Amendment was not to hobble or limit religion -- or even less to abolish it -- but rather was to protect and nurture it, even when it existed in quasi-established form in the states. Thus, while insisting on precluding a national establishment of religion, the Framers of the First Amendment rejected Madison's call for a limitation on state establishments. Let the states, informed by the specific cultures and the specific needs of their own circumstances determine the role that religion would play in their own polities. And even Madison agreed that the prohibition of a national establishment "should not prevent the federal government from giving nondiscriminatory assistance to religion, as long as the assistance is incidental to the performance of a power delegated to the government." Far from seeking to overturn an existing consensus within American society, the First Amendment was designed, as far as its provisions concerning religion are concerned, to constitutionalize an already existing relationship between religion and the government. The point of the First Amendment was not and is not to secularize America or to abolish Christianity from the public square. Rather, those men who framed the First Amendment sought to protect a tolerant but identifiably Christian culture from government overreach at the federal level. In light of this understanding, at the end of his discussion Bradford takes aim on the judicial doctrine of incorporation, whereby provisions of the Bill of Rights are imposed upon the states through the 14th Amendment. Bradford sees the doctrine of incorporation as problematic, a position that has at least some merit in light of the overall context of the First Amendment and its express jurisdictional limitation on the authority of Congress. While it is highly unlikely, to say the least, that the Supreme Court will revisit whether the First Amendment can legitimately be incorporated against the states, there is no question that the First Amendment as originally understood applied only to the federal government and not to the states in their separate & individual capacities. This past month, officials with the Library Preservation Department of Brown University uncovered a rare engraving (seen on the left) from our nation's founding period, which I believe illustrates the complexities of early American religion. This engraving, which was completed by none other than Paul Revere, is a depiction of the baptism of Jesus Christ by John the Baptist. 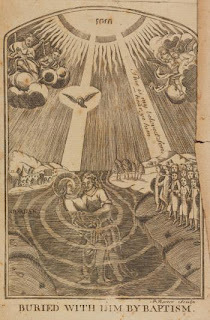 As you can see, the engraving illustrates Christ's baptism as being done through immersion. Paul Revere was well known in his day for several of his artistic engravings, the most famous of course being his depiction of the Boston Massacre. As an artisan, silversmith and dentist by trade, Revere was exceptionally gifted with his ability to create these artistic engravings, all of which helped to gain him notoriety during the early years of the American Revolution. 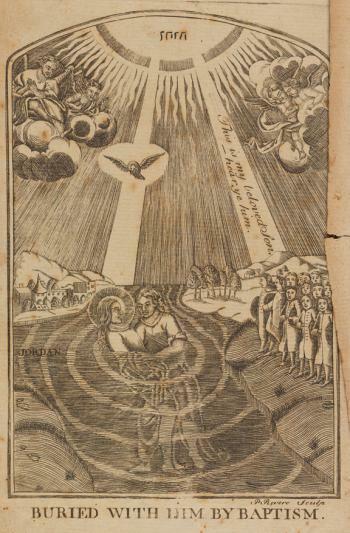 But this particular engraving of Christ's baptism is noteworthy not just because of the artist who created it, but because it also sheds light on some interesting aspects of early American religion and the personal creed of Paul Revere himself. As the son of a very devout French Huguenot who had immigrated to Boston, Revere was raised in a very devout Protestant home. The family's primary loyalty rested with Christ's Church (Old North Church) where the children were raised in the traditional orthodoxy of their day. 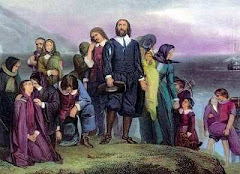 And though orthodoxy was an important component in the lives of many early American colonists, the sweeping tides of the First Great Awakening had brought about new ideas regarding humanity and its place with the divine. For a young and intelligent boy like Paul Revere (who seemed to have an inherent attraction to revolutionary ways of thinking) these new ideas seemed to strike a chord. Though originally drawn to the teachings of the Church of England, Revere eventually began to align himself with the West Church, and its controversial pastor Jonathan Mayhew. Mayhew's provocative brand to preaching, particularly his support of resistance to civil authority and opposition of British "tyranny" had earned him a large number of supporters within the Boston area, particularly the young fifteen-year-old Paul Revere. Mayhew's politics weren't as radical as they might seem. Mayhew was speaking from what was by then a long tradition of civil resistance, primarily from the Calvinists. While John Calvin himself opposed rebellion, his Huguenot heirs in France penned treatises defending it: François Hotman, Theodore Beza, and Phillipe du Plessis-Mor-nay and his famous Vindiciae Contra Tyrannos. Ditto for Calvin's Puritan heirs like George Buchanan, Samuel Rutherford, and John Ponet. These writers shaped Puritan and Huguenot ideas about civil power and rights and were hardly radical to those standing in their stream. John Adams spoke glowingly of them. "The original plantation of our country was occasioned, her continual growth has been promoted, and her present liberties have been established by these generous theories," he wrote, specifically referring to Ponet and the Vindiciae. All this matters because Paul's family was Calvinist. His dad was a Huguenot refugee from France and married into a Puritan family in Boston. Mayhew's politics wouldn't have been radical to him at all, and preachers all over Boston echoed Mayhew's political sentiments. The problem for Revere's dad was the rest of Mayhew's theology. 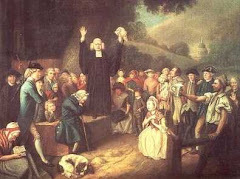 Mayhew was a winsome, exciting preacher -- and also a heretic. He denied some basic Christian teachings, such as the Trinity. From my reading, Paul got the beating for lending ear to a heretic. Mayhew's politics were actually pretty orthodox for their time and place, which was one of the reasons Boston so quickly fell into their resistance against England. (My emphasis). It was Mayhew's infamous unitarianism, mingled with Christianity, that angered Revere's family so much. Resistance to some distant king or some foolish tax was one thing, but resistance to the Holy Trinity or God's one true faith was quite another. This is why I find the engraving above to be of such interest. As already mentioned, Revere was raised to embrace a very orthodox view of Puritan Christianity. As a result, one has to wonder why Revere chose to depict the baptism of Jesus as being one by immersion, when the Puritans/Congregationalists taught baptism by sprinkling (particularly at infancy). Could it be that Revere was once again challenging the faith of his father? Of course, it is difficult to say with absolute certainty why Revere chose to make this engraving. Perhaps, like many others of his faith, he believed that Jesus was baptized by immersion but that the same was not needed for his followers. Or perhaps he was simply trying to profit from the growing revivalism in the early years of the Second Great Awakening. After all, we know that Revere had profited handsomely from the growing demand for church bells, becoming America's best-known bell caster. Could engravings like these also been the result of his desire to make an extra buck? I don't think so. First off, this engraving is only one of five known in existence today. In addition, there is zero evidence that the engraving was published in any of the books or pamphlets of the time. Instead it appears that Revere made a relatively small number of these engravings and sent them to close associates. As a result, it would stand to reason that these engravings were more for sentimental value than anything else. This makes sense when we consider the fact that Revere elected to further his studies of "infidel" Christianity at the hands of Mayhew and others. With that said, it is important that we be careful not to classify Paul Revere as a unitarian, closet unitarian, etc. Revere maintained a very close alliance with Congregationalism throughout the course of his adulthood. Boston's New Brick Church was like a second home to Revere, as he was a regular in Sunday church services. Clearly Revere maintained a love for his family's orthodox faith. As a result, I have no problem with those who wish to classify Revere as a devout disciple of Christian orthodoxy. With that said, I do think that these apparent "heathen" blips on the radar are noteworthy because they reveal the fact that almost nothing about early American religion (or any religion of any era for that matter) is cut and dry. Like many of his time, Revere was questioning and thinking about matters of faith. Was God really the totality of an obscure Trinity? Is infant baptism/baptism by sprinkling really a requirement for heaven? Is there really such a thing as "the one true faith?" In the end, these are questions that are just as relevant today as they were 200 or 2,000 years ago, which proves that Paul Revere was a pretty stereotypical Christian of his time.